Police have arrested and charged six people with crimes linked to hacking Connecticut state lottery terminals in order to produce more winning tickets than usual. Prosecutors say all the six suspects are either owners or employees of retail stores that produced a much higher number of winning tickets than the state average, according to the Hartford Courant. The alleged group set up machines to process a flood of tickets at once that caused a temporary display freeze, allowing operators to see which of the tickets about to be dispensed would be winning tickets, cancel the duff ones, and print the good ones. The hack appears to have exploited some software weaknesses in lottery terminals that not only caused ticket requests to be delayed but also allowed operators to know ahead of time whether a given request would produce a winning ticket. The actual culprit, in this case, was a game dubbed "5 Card Cash." The alleged suspects manipulated automated ticket dispensers to run off 5 Card Cash game that consists of tickets a user can buy, on which playing cards are printed. If 5 cards form a winning poker hand, then the buyer can cash the tickets based on the hand they received. 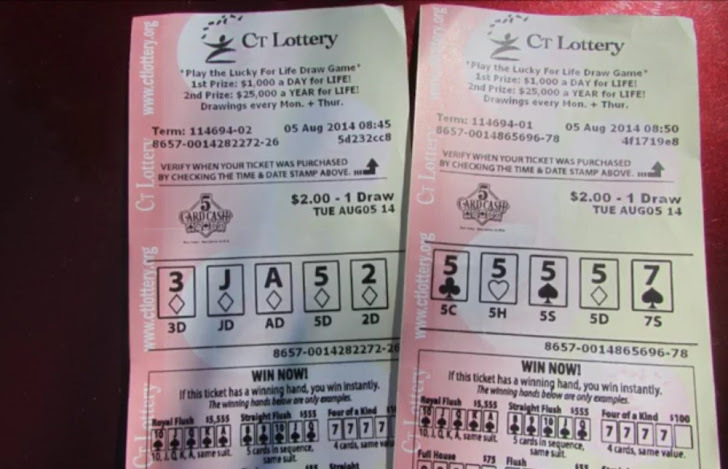 Authorities had already suspended the 5 Card Cash lottery game in Connecticut past November after discovering that the game was generating more winning tickets than its winning range parameters should have technically permitted. Pranav Patel and Vikas Patel were arrested on Friday, March 19 while the rests took into custody between February 29 and March 7. The charges filed against Vikas and Pranav include first-degree felony counts of larceny and computer crime as well as felony rigging a game charges. Both of them have been bailed on $25,000 bonds each and are scheduled to appear in court on Monday. Investigators for the Department of Consumer Protection and the Connecticut Lottery say that many clerks were abusing lottery tickets to fetch out more winning tickets that they would later cash in for themselves, and that more arrests may be made in the future.